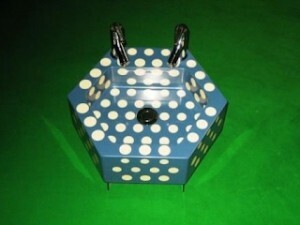 Blog Cue Ball Bathroom Sink! We were thrilled to receive a picture of this unique cue ball bathroom sink here at IQ… Having recently received an order for a large quantity of cue balls, we were intrigued as the clients requirements for so many. Having discussed the order with our client, it transpired that they design unique bathroom items and that the cue balls were required for a new futuristic sink design. You can clearly see the cue balls within the moulding of the bathroom sink and we love it ! We are sure this unique design will attract attention for the lucky owner and we are thrilled that our cue balls have been a part of it. That got us talking about other ways that our spares could be utilised and we would love to hear your ideas…..